Manashosting.com has found its way to this blog again, and if you want to blame anyone for bringing my attention back to this blog you can thank them. For the last 6 months I have been between buying a new home, packing, moving, fixing up the old house to return it to the to land lord, and fine tuning my new house, all while trying to juggle web design clients that seem to choose the most inconvenient times to give me business. The next step is designing a desk. From that I have learned I am no carpenter, and should perhaps stay away from power tools. Meanwhile this site was pretty low on my priorities. But while all of this has been going on Manashosting.com has been doing a rather aggressive marketing campaign. Now before anyone wants to get into a whole argument about how I am anti-capitalism, I am going to cut the argument down. I am not against making money, so long as it is done ethically. Spamming is not ethical; in fact it is downright invasive. Given I have a career in the webhosting industry that spans just a little over a decade; I think I have real reason to hate spam. Between installing counter measures, dealing with abusers, and having to delist my servers off spam lists (some of which pretty much required a ransom to remove them) I have lost a lot of time, money, and productivity that could have been used to grow my business. My hatred of spam goes beyond ethics; it extends to my wallet and lost time. So I take spam very personally, especially from a company that claims to be in their own words “Oldest Successful Hosting company of India”. 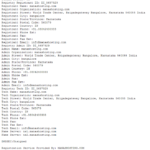 By aggressive mailing measures I find that Manashosting.com has returned to mailing my yahoo email addresses something they have not done since 2010 on July 17, 2013.
reseller hosting package at just Rs 10000 for 3 years. 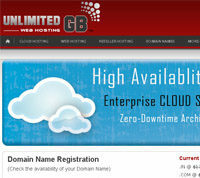 Oldest hosting provider? Really, I don’t think so Manashosting.com. Never mind I have never been and never will be a customer of Manashosting.com, something is missing in this email. The odd thing about this email, like many of the emails from Manashosting.com is that they leave out any name or reference to their company. All I have is this phone number to a company called Target Information Management. I know that is Manashosting.com because some of the spam that has their name on it, also has the same phone number. Strangely their call center is not located out of India, but my country the U.S. out of the state of Michigan. Target Information Management is defiantly worth looking into considering their relationship with Manashosting.com. But for now I want to focus on their spam and where it is coming from, and if you came here because you got spam from Manashosting.com what steps you can take against Manashosting.com. Looking through the header information in their earlier and latest spam I find the domain name hostingupdates.tk. I find that they are hosted by interserver.net. A company I reviewed last year that tried to pay me to do a post on their company and join their hosting program. But there is no surprise that Manashosting.com is using a .tk domain. There are four steps that need to be taken against Manashosting.com. Forwarding the spam with headers intact to Interserver.net at [email protected], make sure to leave the headers intact. 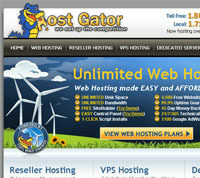 After which the next step is to get the domain name hostingupdates.tk removed from Manashosting.com control. As before forward all spam with headers attached to abuse dot.tk with headers intact. Header information will look like this this text file. Contact Manashosting.com’s network provider, which I am a little shocked to see is Rackspace. Forward the spam with headers attached to [email protected] Make sure to connect as outlined how manashosting.com is connected to the spam. Steps 3 and 4 are a little more complicated because manashosting.com has kept their domain and name out of the bulk of their spam. So you will need to connect the dots for Rackspace.com and publicdomainregistry.com. 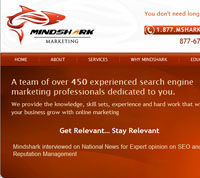 The best way is to have them Google “Manashosting.com 18002580258”, which is the same number found in the spam. They can also try calling the number and ask to buy a manashosting.com account. Or you can point them to this post. 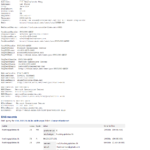 The below pics are copies of the whois info for Manashosting.com and their spam domain hostingupdates.tk. Manashosting.com is not really that bad…… are they? Given that I have penetrated a first page Manashosting.com reviews, I have also been targeted with fake positive reviews. Which is probable because I also have a lot of negative reviews from their past customers. The biggest blatant give away that they fake their reviews is that most of the comments come from the same ip address. The other is that they may seem like different people but they put in the same email address and/or domain for many of these reviews. Normally I would avoid calling any company a scam, but I think Manashosting.com has earned that title. As Manashosting.com may be the worst hosting company in the world, and their business practices tell me why I should not try them.